I just want to say thank you, Mr Fonorow. Cardio C saved my life, all my arteries were clogged the doctors didn't know how I was still alive. To make a long story short I've never been healthier, with total blood flow. God bless you and Dr. Pauling he was more than a genius. Testimonials represent a cross section of the range of results that appear to be typical following Pauling's recommendations. Results may vary depending upon use and commitment. 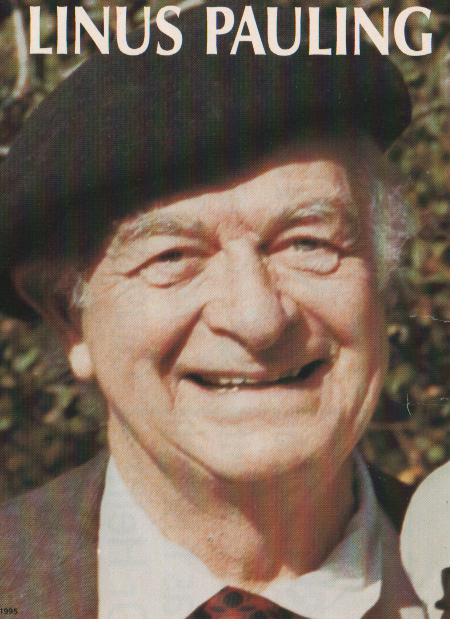 Linus Pauling's specific therapy for cardiovascular and heart diseases are high dosages of two essential nutrients; vitamin C and the amino acid lysine. Lysine is an Lp(a) binding inhibitor, meaning at sufficient dosage it can reverse the plaster cast build-up (atherosclerotic plaques.) Lp(a) is the sticky form of LDL cholesterol that Pauling/Rath identified as the primary risk factor. Testimonials abound, yet medicine continues to ignore the science and growing evidence. As far as modern medicine is concerned, the material presented here doesn't exist. We agree with Pauling that it is indeed miraculous that two harmless nutrients together can treat and cure heart disease. Both substances are essential foods, meaning they are both required for life (in smaller amounts). They are extremely safe in high amounts, neither has a known lethal toxic dosage. "I've used Cardio-C for years..."
"I know people who have used it for many years.. Cardio-C has kept them alive.."
"Caller: After heart attack... I took myself off all meds... 2 scoops daily..Doc gave me a complete clean bill of health on my heart..."
"About the company: I'm been using them for ages.. they are really good.. a good group of people.."
There is a "slight" problem . . . The reason your doctor has never heard about this (from his or her trusted sources) is because this low-cost therapy would bankrupt every major hospital in the USA. Pauling, the founder of modern chemistry, holder of 48 honorary Ph.D.s, and the world's only 2-time unshared Nobel prize laureate, theorized that too little vitamin C elevates cholesterol levels, including the Lp(a) variant that causes narrowing of blood vessels. After Pauling learned that Lp(a) binds to strands of lysine protruding from weak and damaged blood vessels, he invented the high-lysine therapy described here. His specific high-dosage therapy for heart disease is apparently very effective, and it has been named the Pauling Therapy in Linus's honor. Note: This paper was first accepted by the Proceedings of the National Academy of Sciences USA, but then rejected and not published. In Sept. 2007 I had to get a stent in my heart. I had one vein plugged 99% one 40% and one 60%. They put a stent in the 99% one, didn't do anything for the other two. In 2008, one year later they did a Cath. and found the other two clear after taking cardio-c for one year. Also in March of 2007 My brother had a four way bypass. I finally got him taking cardio-c also. It's been six years since any heart problems for either of us. We always get a clean bill of health from our Drs. Of course they are not interested in what we are doing. It would be a miracle if the cure for heart disease already exists. It would be even more miraculous if the therapy that leads to the cure works quickly, (even in advanced disease), is completely non toxic, inexpensive, and if it is available at any drug store without a prescription! We owe a deep debt of gratitude for this miracle to America's greatest scientist, the late Linus Pauling, Ph.D., and his German associate Matthias Rath, MD. Briefly, researchers discovered cholesterol lysine-binding-sites that lead to heart disease. Medical doctors have heard about the "lysine binding sites", but they aren't told that these receptors are ONLY found on one form of cholesterol; a sticky form of LDL cholestrol called Lp(a). Upon hearing of this discovery, Pauling invented the heart disease therapy presented here. Rationale: If Lp(a) causes heart disease, and if Lp(a) attaches to the artery at the lysine binding sites, then the solution is apparent: Give Lp(a) in the blood something else to attach to. Linus Pauling's brilliant invention (and now therapy named in his honor) increases the blood concentration of vitamin C and of lysine to neutralize the Lp(a). "Many investigators contributed to demonstrating that it is lipoprotein(a) that is deposited in plaques, not merely LDL, but lipoprotein(a), or Lp(a) for short. If you have more than 20 mg/dl in the blood it begins to deposit plaques and causes atherosclerosis. The question then is: What causes Lp(a) to stick to the wall of the artery and form these plaques? "Countless biochemists and chemists discovered what in the wall of the artery causes Lp(a) to adhere and form atherosclerotic plaques and ultimately lead to heart disease, strokes, and peripheral arterial disease. The answer is that there is a particular amino acid in a protein in the wall of the artery - lysine - which is one of the twenty amino acids that binds the Lp(a) and causes atherosclerotic plaques to develop. I THINK IT IS A VERY IMPORTANT DISCOVERY"
"Knowing that lysyl residues are what causes Lp(a) to stick to the wall of the artery and form atherosclerotic plaques, any physical chemist would say at once that to prevent that put the amino acid lysine in the blood to a greater extent than it is normally. You need lysine, it is essential, you have to get about 1 gram a day to keep in protein balance, but we can take lysine, pure lysine, a perfectly non toxic substance as supplements, which puts extra lysine molecules in the blood. They enter into competition with the lysyl residues on the wall of arteries and accordingly count to prevent Lp(a) from being deposited, or even will work to pull it loose and destroy atherosclerotic plaques." Subequently, researchers at the University of Chicago discovered the proline-binding-site on Lp(a). Most doctors haven't heard about this because there have been no published studies. (No one goes to jail when a cure for a major disease is not evaluated by science.) Most people rely on their doctors for medical information. The Pauling-therapy for heart disease works quickly. Patients have consistently reported symptom relief in ten days or less, even in advanced disease. The effect is rapid and undeniable, thus the reasons that most people haven't heard about this are not based on science, rather malfeasance. With medical science asleep at the switch, we have been promoting and closely monitoring the effect of Pauling's therapy on heart patients for almost twenty years. One thing has become crystal clear: The large doses recommended by Linus Pauling are key to success  . Neither nutrient has any known lethal toxic dose in animal or human studies. The reports have been so amazing that we documented the protocol and success stories in a book Practicing Medicine Without A Licence. This long-term experience, (initially with dying heart patients who gave up on orthodox medicine and were taking a myriad of heart medications), leaves little doubt that : Cardiovascular (Heart) disease at its root is a vitamin C deficiency. Science can not dispute this assertion because it has never been tested at Pauling's recommended dosages. The method for reversing heart disease invented by Linus Pauling does not require a doctor. 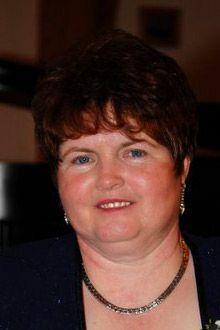 "Her MD then told her that "I don't usually get to tell a patient this, but" - she didn't have heart disease any more, there was no need to put stents in, and she should come back in two years. "In financial terms, my total income from these 3 reversals of heart disease is $65.00." 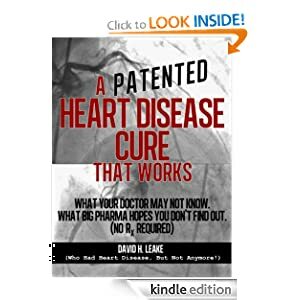 Note: Mr Leake has documented his long battle with heart disease, culminating in his doctors declaring him free of disease, in a wonderful new book: A (Patented) Heart Disease Cure That Works! The exciting news for most heart patients, especially those diagnosed with severe heart disease and who are suffering heart pain, is that their symptoms can be reversed in as little as ten days by following Linus Pauling's specific dosage recommendations. Results are dramatic, and if the person can be helped, they will know in a very short period of time – as long as they are compliant, that is, keep taking the correct high "Pauling" dosages. There is another problem . . . The vast medical-pharmaceutical-governmental complex still laughs and refuses to study any of this! Consider joining our referral incentive program. Learn from others about their experience, and save money as you share your experience with newbies. We know it can be hard to convince loved ones because of this, but here is a sample letter to use when sending a relative or friend my book and one of our products. As hard as this is to believe, you, your friends and relatives can ignore the science, or you can take your cardiovascular health into your own hands. It usually takes an end-stage patient less than one month to find out whether the Pauling therapy can work for them. If you are just starting, it would be a good idea to have yourself videotaped, illustrating your current condition and itemizing your medical procedures, medications and any supplements. After a month or so, video tape yourself again. If you feel like sharing these videos, please contact us. The most valuable book I have ever owned is "Practicing Medicine Without A license." (Now on Amazon Kindle). Read more about this book here . A Owen's book documents the amazing (then) 12-year history of the Pauling/Rath theory and therapy for reversing coronary heart disease. Owen's enhanced Pauling-therapy protocol for reversing heart disease from the book is available as an excerpt (PDF file). This protocol prevents and often reverses coronary heart disease, something Pauling predicated was possible after the patient corrects an ancient genetic (GLO) defect. Owen's protocols are based on his 14+ years of study and recommending the Pauling therapy to heart patients. Read all about this book. For more than a decade we have observed amazing reversals which often occur in 10 to 14 days without any known risks. In case after case. This complete lack of interest has allowed organized medicine to dismiss the Pauling/Rath claim a priori as unproven, without comment or critique. Linus Pauling long recommended 400 to 800 iu of vitamin E for cardiovascular disease. Several authors have pointed to an extensive study conducted by the World Health Organization on thousands of men and women from sixteen nations. The study illustrated that a low level of vitamin E in the blood was more than twice as predictive of heart attack than either high cholesterol or high blood pressure. Inverse correlation between plasma vitamin E and mortality from ischemic heart disease in cross-cultural epidemiology. Note: We recommend the Unique-E brand of Vitamin E from A. C. Grace. The Pauling (Vitamin C/Lysine) therapy does not immediately resolve hard calcified arteries. Vitamin K will do this job, and for this reason, we have long recommended supplementing the Pauling therapy with daily vitamin K.
The following anecdotes illustrate a) vitamin C and lysine do not rapidly decalcify arteries, but b) adding vitamin K to the routine apparently will. Case Two: Some years later, at a trade show, Owen and Tower Laboratories CEO and founder William Decker both had their arterial stiffness index (ASI) measured by CardioVision, a computerized blood pressure device. Owen's score was normal (e.g. ASI of 50) but Decker's was five times as high (ASI over 250). This test seemed to confirm the CT Scan that Decker may have had high amounts of calcium in his arteries. Owen referred Decker to the Life Extension article on the properties of vitamin K to reduce calcium in soft tissues. Mr. Decker began 1 tablet vitamin K supplement, his only change in his routine. One year later, at the same trade show, they both had their ASI computed again. This time, Decker's score had dropped to a normal 50 ASI. The only change that year had been adding vitamin K to his supplements. Note: Many heart medications interfere with vitamin K leading to calcification's. We believe that vitamin K2 is safe for people taking these drugs. Vitamin K2 will not interfere with these drug's anti-clotting medications and will oppose the soft tissue calcification. Most recently, Life Extension published more astounding information on the reduced mortality risk from high blood serum levels of vitamin K. High levels of Vitamin K, much like Vitamin C, can cut your risk of death or major disease in half. See: The Surprising Longevity Benefits of Vitamin K.
Download (pdf): Pauling's entire heart protocol with Owen's additions. Cherniske's book DHEA Breakthrough (and the later Metabolic Makeover books) review the research, and are good sources of information about DHEA. An important part of the story are the products invented by entrepreneur William Decker, Founder of Tower Laboratories. These tasty drink mix products have no fillers. These drinks allow patients to easily achieve the dosages Pauling recommended, while avoiding the large number of pills that would otherwise be necessary. Discounts for Tower products good on first time retail sales only and NOT monthly autoships. If you prefer calling, Tower's order line number is 877-869-3752 and we mention Owen sent you to you place your first-time Tower order and get the discount. Order Cardio-C and Ascorbade on-line directly from the Vitamin C Foundation. (Or call Vitamin C Foundation at 800-894-9025). Mention Owen when you register at or call Tower directly. Please use this link to order directly from Tower. Registered users may receive a 30% discount on their first Retail order. If in doubt, call us at 877-869-3752 and we'll place the first order for you. 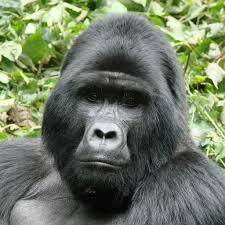 Most animals do not suffer heart disease, yet gorillas and other high-order primates (including humans) do. Why? Why do most atherosclerotic plaques form in the arteries, but not in the veins? Why do the plaques narrow and clog coronary arteries on the surface of the heart but not inside the heart? Why aren't blockages (infarctions) more common throughout the blood stream, especially where the blood pools or moves slowly, i.e., in the ears, fingers or nose? Why do more than 50% of the heart attack and strokes occur in people without any of the generally accepted cardiovascular risk factors? Why do people with low cholesterol still suffer heart attacks and stroke? Why has the cardiovascular mortality rate declined since the 1950s, and decreased by almost half during the 1970s, after Linus Pauling's Vitamin C book become a best seller? Why is cholesterol elevated in heart patients? Why have major cholesterol-drug studies not released the raw data to scientists? Why do drug companies routinely cut studies short just after mortality in the study groups begins to rise? Why hasn't medical science investigated the Pauling/Rath theory? The "cholesterol" theory has no answer to these questions, but the Pauling/Rath unified theory does. 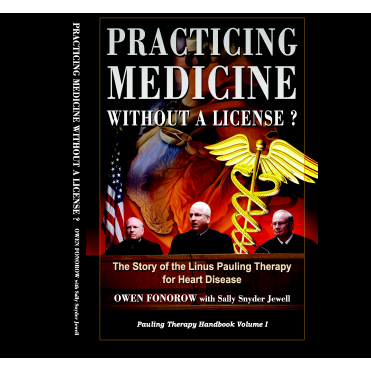 Find the answers to the above questions and more in a new book about the Pauling therapy, Practicing Medicine Without A License? The Story of the Linus Pauling Therapy for Heart Disease. In answer to some questions on your forum on how I found out that my heart was clear from plaque. :::: I had a Nuclear Stress test late in 2006 that showed my heart in real distress. The pictures that the test recorded, showed that my heart's arteries were nearly completely darkened in by plaque. This means that the arteries were all clogged, i.e., getting very little oxygen. My doctor said that I needed a bypass or a stent and must start on statin drugs immediately. I turned it all down. Needless to say he was really worried. I was very sick...couldn't walk far or fast, out of breath, blue feet...I felt like I was dying. Sooooo I started taking the Linus Pauling cure that I had been reading about... smile... I started feeling better within the first week. Each time I went to see my cardiologist he would comment on how well I was doing. My EKG's were even getting better. Then I took another Nuclear Stress test in late 2007, which showed my heart to be clear of plaque. Well I had my Doctor appointment this morning to discuss the results of all the tests my doctor had ordered. The good news is that everything was in normal ranges... His words were "You have no kidney or liver damage and also NO nerve damage to your eyes or feet which is pretty amazing considering that you have been a diabetic for almost 50 years." He said to keep doing whatever I have been doing because it is working and then he said "WOW". It made me feel good. Blood pressure was 112/60 68 and my heart is behaving again, and I am doing great. Of course, he did bring up the fact that he wished I would consider taking Cholesterol pills. I asked "WHY?" since my test results were all very good. He just said that "it is a benefit for all patients to be on Cholesterol pills." I just smiled and said Cholesterol isn't the bad guy, cholesterol didn't cause my last two heart attacks, and I will not take any Cholesterol meds. I don't need them and he didn't argue with me. I truly believe that if I wasn't taking the high-dose Vitamin C in the Tower Laboratories products and the Unique E, I would not have received these great results again. Tower Ascorsine-9 and Unique E are an unbeatable team to good health and every Diabetic and heart patient should be faithfully taking them. The lack of attention to Pauling's ideas has resulted in an epidemic of sudden death of gorillas in captivity. Gorillas like man suffer heart disease because they cannot make their own vitamin C.
Unfortunately, the gorillas dying in zoos strongly supports the Pauling/Rath theory. However, Pauling provided the solution to the plight of gorillas -- as well as humans. With your help we can save lives. Owen and Sally's paper on gorilla deaths. Do You Suffer From a Treatable Heart Condition? How often to you suffer chest pain? Have you suffered a heart attack? Have you had a heart bypass operation? I do not know my cholestol and Lp(a) numbers. Have you or are you now taking heart medications? Add up your score. If less than 10, your vitamin C intake is probably close to optimal. 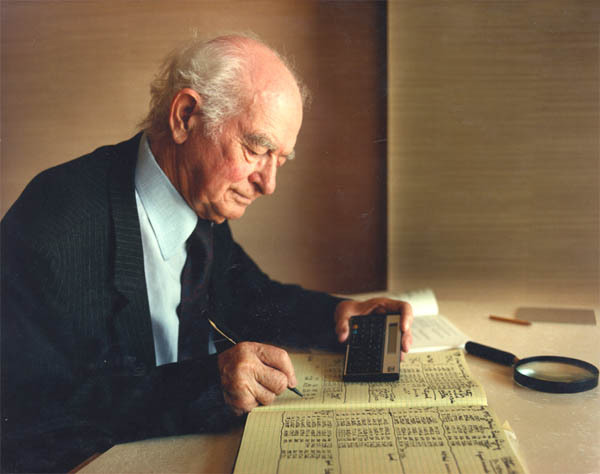 However, if your score is 20 points or more, you would be wise to heed Linus Pauling's advice! Question #6 is the most important and the answer is usually inversely proportional to the earlier answers. In other words, the less vitamin C you take regularly, the more serious we predict your heart disease is. Weisgraber KH, Innerarity TL, Mahley RW., Role of lysine residues of plasma lipoproteins in high affinity binding to cell surface receptors on human fibroblasts. (1978) [http://www.ncbi.nlm.nih.gov/pubmed/214439]. Anglés-Cano E, Hervio L, Rouy D, Fournier C, Chapman JM, Laplaud M, Koschinsky ML., Effects of lipoprotein(a) on the binding of plasminogen to fibrin and its activation by fibrin-bound tissue-type plasminogen activator. (1994) [http://www.ncbi.nlm.nih.gov/pubmed/8187237]. Klezovitch O, Edelstein C, Scanu AM., Evidence that the fibrinogen binding domain of Apo(a) is outside the lysine binding site of kringle IV-10: a study involving naturally occurring lysine binding defective lipoprotein(a) phenotypes. (1996), [http://www.ncbi.nlm.nih.gov/pubmed/8690792]. David Leake, D Leake CAD History 1989 to 2011, [http://dleakecadhistory.blogspot.com/. "If you have more than 20 mg/dl of Lp(a) in the blood it begins to deposit plaques and causes atherosclerosis. "